Being minimalist does not only mean having a clean white background, fewer website elements on the homepage, or an ample space for the eyes to roam but also a well-organized layout, intelligently-arranged content, clutter-less pages, minimized icons, and even hidden menus when necessary. Being minimalist also means only having the essential information and the most important and useful content for your audience to view. In this way, they will be able to decide quickly and you will be able to generate more leads than ever. As simple as it is, a minimal design is more powerful than you could imagine, even compared to the most dynamic layouts. Landing pages are no stranger to this. As one of the greatest online marketing strategy tool that many businesses use, their ultimate goal is to catch an audience’s attention and keep them interested. With too much information, a potential lead may get turned off and click on the button at the top right-hand side too quickly. With a minimal landing page that consists of the basic and vital elements that efficiently serves it the purpose of getting a conversion, you are guaranteed to achieve the great online success. Also, directing your audience to a landing page instead of a website homepage sends more traffic to your system. Here is a list of clean and minimal landing page templates that you can use or get inspired by for your businesses. As a digital marketer, you can build different landing pages for your every marketing campaign using these templates. Aside from giving you high conversion rates, these landing page themes and templates will save you time and money. So, check them out now. 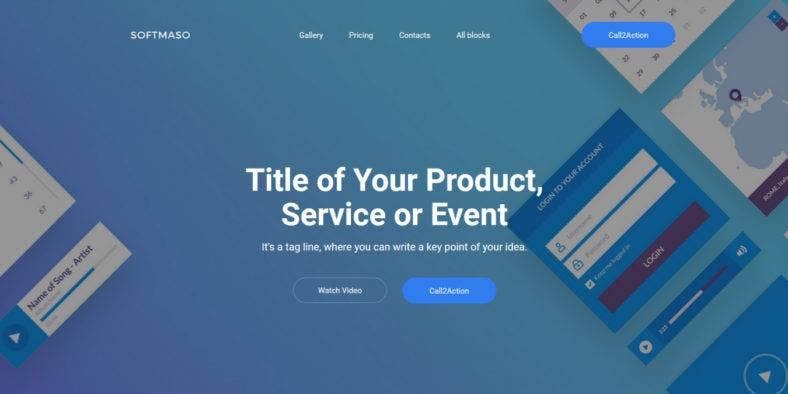 First on the list is Qstore, a fantastic product landing page HTML template that is an awesome marketing tool to present your product in front of your target market. It comes with the basic web sections in order to create a stunning one-page showcase for your product. Powered by the Bootstrap 3 framework, HTML5, and CSS3, this theme is fully responsive and mobile-friendly. It is also easy to customize with different available backgrounds, color schemes, and content layouts. It is also integrated with Google Fonts and Font Awesome icons. Second, this MotoCMS 3 landing page template boasts of its easy-to-use and customizable page builder. 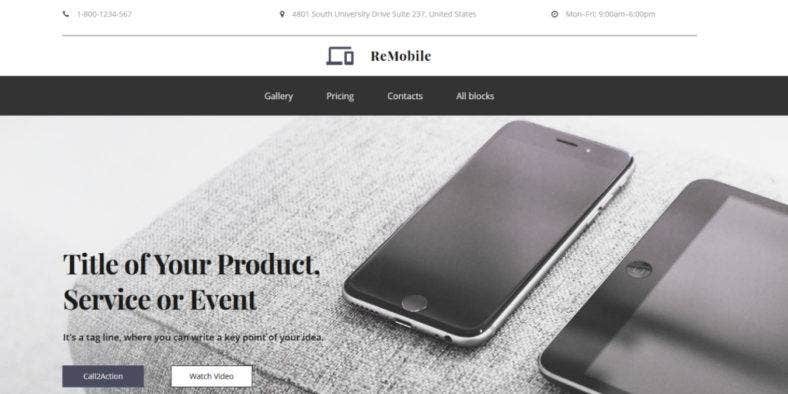 ReMobile allows you to drag and drop ready-made design content blocks in order to create various pages that suits your business needs and preference. This theme also includes a list of must-have widgets such as a parallax effect with a color picker, social integration, contact form, Google fonts, a MailChimp widget, an audio and video player, and a contact form among others as well as an advanced mode for Web developers. Next is Emma, a beautiful landing page WordPress theme with an elegant design that engages your visitors while you’re preparing to launch your product or a rebranding is waiting to happen. For any creative boss, this is a great tool to capture leads with grace and style. Among its features is a responsive design that allows your landing page to adapt to any screen size, along with a header logo and a featured image upload capability. It also features a social media icons to link your social media accounts and SEO optimization for high ranking. An ultra minimal landing page theme, Eco is the best choice for intorducing and promoting your gadgets and oher electronics products. It’s clean and modern design with an ample amount of white space to highlight your items exudes class and professionalism. The theme also lets you choose from 6 various design, so you are able to choose the perfect layout for your business. Buil with the latest Bootstrap framework, this awesome template also lets you change the colors, images, and text of your pages pretty easily. 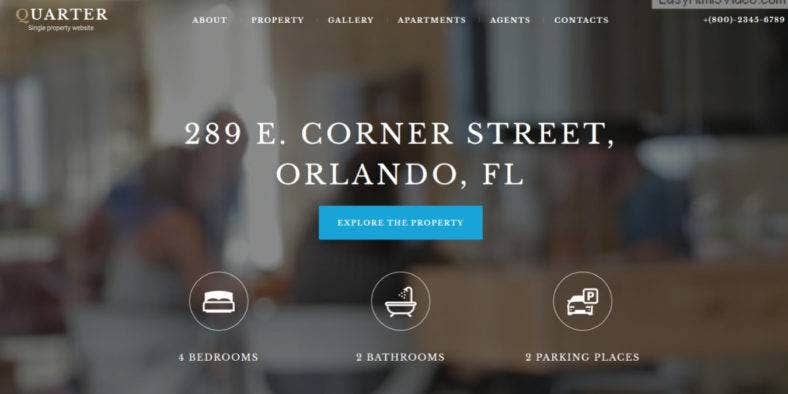 Quarter is a real estate landing page template with a responsive design that is easily customizable with a drag-and drop Page Builder included in the theme. This simple and modern landing page theme can be used to advertise for rent apartments or lands for sale. The theme has a clean and crisp design with valid HTML5/CSS code and includes is PSD source files in the package. It features multiple navigation types and integrated with Google Web Fonts as well as dozens of other powerful features and useful elements. 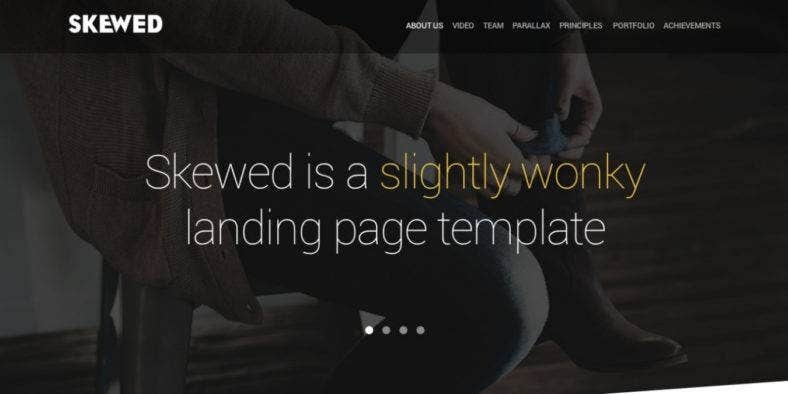 Like its name, Skewed is another landing page template but with a unique skewed section dividers which offers a one-of-a-kind style for your web page. It also features a full screen slider background with parallax effect, a grid-based layout with portfolio, counters, and more. Moreover, this template package also includes a vector, layered PSD source file that is ell-organized for easy usability as well as customizability. It’s a basic HTML, CSS, JS template with a clean and minmal one-page design that your viewers will absolutely love. On the other hand, here is a minimal and responsive landing page theme that features a gradient-colored background and a clean one-page layout. Conversion is ideal for businesses and companies offering products and services like startups, plugins, app, or software items. It is a striking landing page template with 12 column grids, 6 layouts, 7 color schemes, 162 vector icons, and tons of Google Web Fonts included in the package. The template also comes with a working Contact Form, Registration Form, and Signup Forms. Yogarbox is another clean and minimal landing page theme from MotoCMS 3. 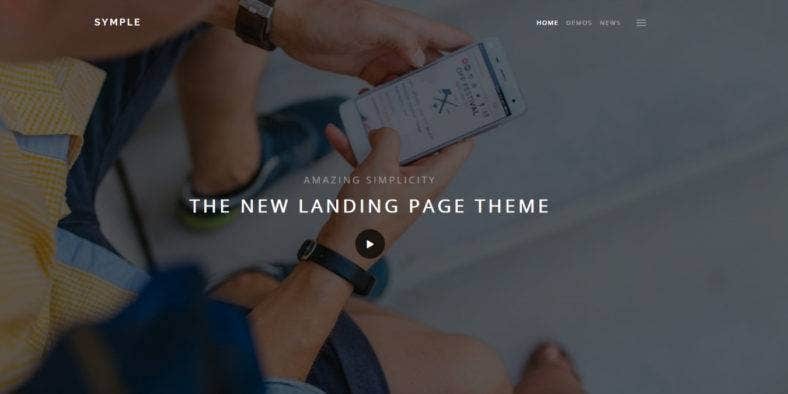 With amaaing simplicity, this theme allows you to build a working and functional landing page for your yoga businesses and other marketing jobs even without any coding or web design skils. While building your landing page with a drag-and-drop functionality, this template allows you to choose from various designs with ready-made design blocks which all look great on any device. Also, this theme is SEO-friendly for higher search engine ranking. Another clean and gorgeous WordPress landing page theme is CMP Fifty. It can be used to build a Coming Soon and Maintenance landing pages that can easily be modified and customized. You can also create custom landing pages to your websites while working on your real site. This theme also consists of features that let you set custom logo, texts, colors, fonts, and backgrounds. You can also display a custom Subscribe Form or integrate any available Subscribe plugin. This theme is also fully responsive and retina ready. Symple, like how its given monicker sounds like, is a clean and minimal landing page theme with amazing simplicity which is offers a great way to show off different products or services. It comes with a demo file which you can use to get your landing page up fast and quick. Among its many features, it includes a 19 layout options for custom homepage items with scroll effects with a sidebar widget are and navigation. With 3 header options, 2 header scroll effects, a showcase imge or video inside the header, and other customizable elements. Here is a MotoCMS template for landng pages of photographers which also works well with other creative individual’s web pages. Photorson is dark-themed template that just gives off a sophisticated and professional vibe perfect to showcase your work’s portfolio. This stunning theme features a number of ready-made designed blocks which can easily be modified by using a drag-and-drop Page Builder. It also comes with a list of must-have widgets such as a parallax effect, contact form, color picker, audio player, and so much more. 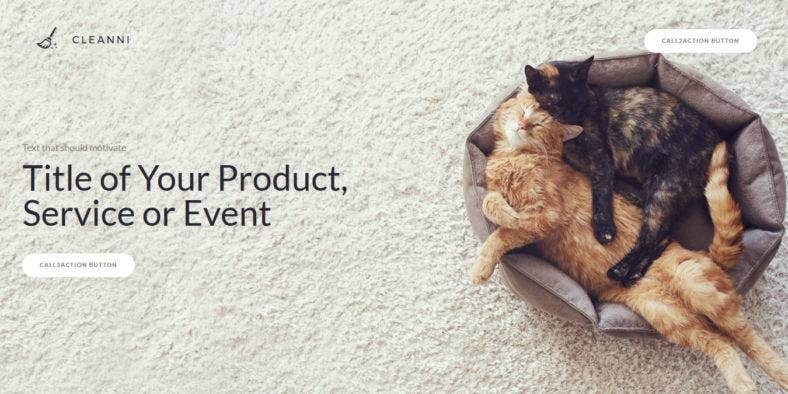 Eve, on the other hand, is an elegant and clean template which is a geat web design tool with integral marketing components to announce and promote your events, meetups, conferences, and other types of gatherings. Based on the Bootstrap framework with HTML5 and CSS3. This theme is designed with a minimalistic approach and the best design practices such as a responsive design, full background image, and CSS3 animations. Its mobile-optimized design ensures your landing page looks great on all devices. 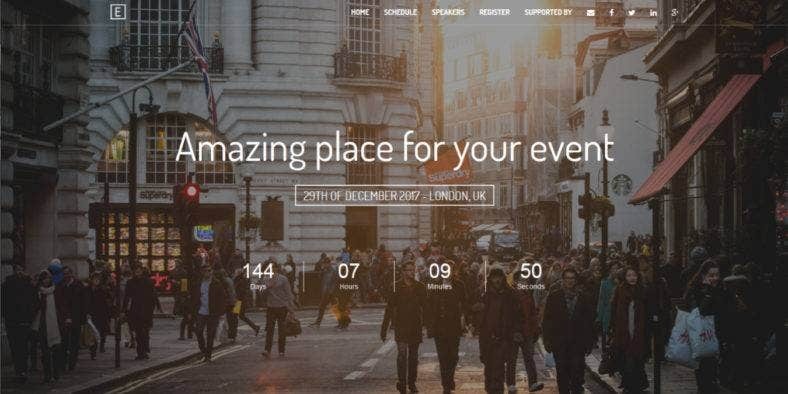 This event landing page template is an HTML website theme with a modern and elegant design as well as clean and simple layout that is finely crafted to meet your business needs. Biz is great to use as an integral part of the any business’ marketing strategy. Based on Bootstrap 3, the theme has a flat and responsive design with a full background image and CSS3 animations. With a minimalistic approach and the best responsive design practices, this template is guaranteed to help you reach their goals. Another MotoCMS 3 landing page template and builder, eCourses lets you create a professional landing page for your educational services as well as modify it and use for your other company advertising and marketing strategies together with its bunch of features. The theme features a number of MotoCMS widgets as well, like the robust Media Library and Presets Builder. It also includes Google Web Fonts, Social Options, Google Analytics, Google Webmaster Tools, Iframe, Global Website Settings, and many others. Advisio is another marketing landing page theme based on the Bootstrap framework built particularly to cater all your marketing needs. It includes three different layouts with various promo areas, either with a full-size slider, boxed slider or a full-size video. With a clean and classic design, this theme is also packed with great features such as a fully responsive design and slider, layered PSD files, Google Web Fonts, SEO-optimized code, and a fully functional Registration and Contact Form among others. The minimal but gorgeous template for landing pages that you see above is a block-based HTML theme. Lander has a clean and minimal deisgn that comes with 8 ready-made landing page options that you can choose from for your products or services. Built on Bootstrap 3 and with a block-based design, the theme enables you to create an unlimited number of content combinations and web pages for any purpose, such as apps. real estate, education, events, bars, e-books, and so much more. 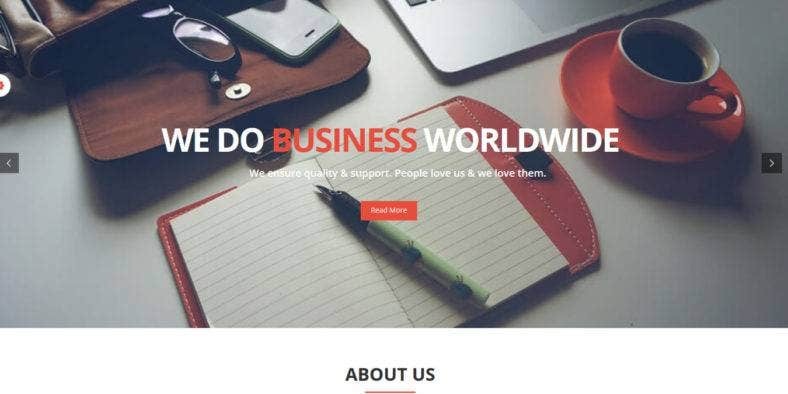 Another MotoCMS 3 landing page builder, Cleanni is a one-page website template that serves as perfect solution for businesses who don’t have any answer for online marketing and promotion. An ideal solution for startups, events, promotions, pre-order promos, and more. 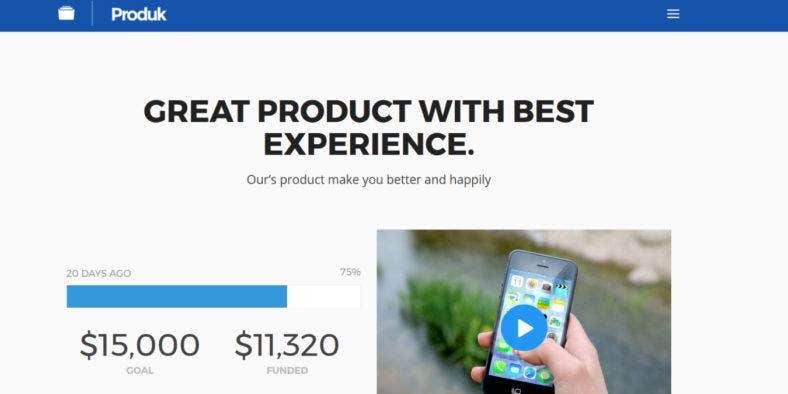 Using this template to build your landing pages, you don’t need any coding or design skills. Just drag and drop your choice of pre-made content blocks, along with a vast list of widgets included in the package. It’s also SEO optimized for better ranking in major search engines. Colorful Flat has been given the perfect name as it perfectly describes the landing page you see above. With a modern flat design, this theme features a simple layout with neatly designed imagery and icons on top of a vibrant pastel color scheme. Its features include the main navigation bar, Go to Top features, a portfolio area, Contact Us, and Meet the Team sections among its many attributes. 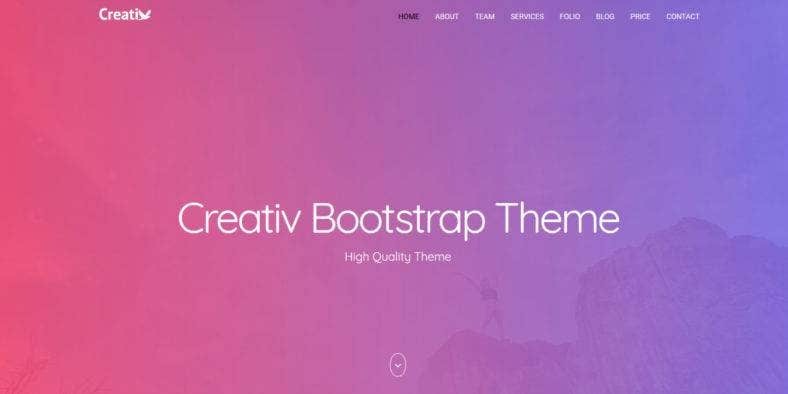 Based on Bootstrap, this theme is guaranteed to be incorporated with the latest web design trends and features. This creative and stylish landing page template is built with HTML5 and Bootstrap. 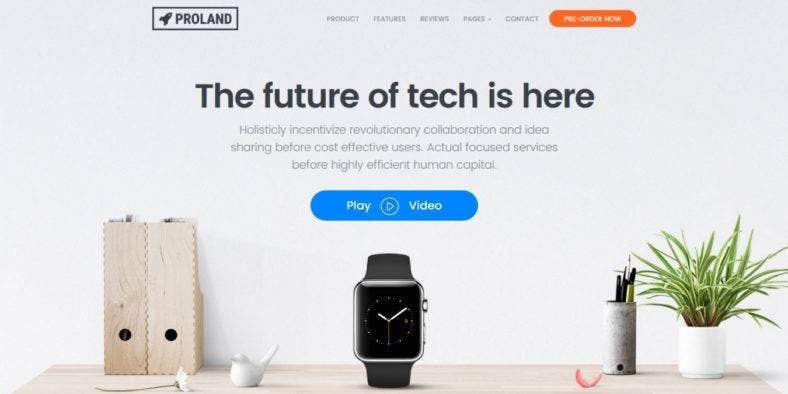 Proland is integrated with Paypal, Mailchimp, and Email widgets making it a perfect choice for modern businesses and entrepreneurial ventures as well as personal and corporate landing pages. 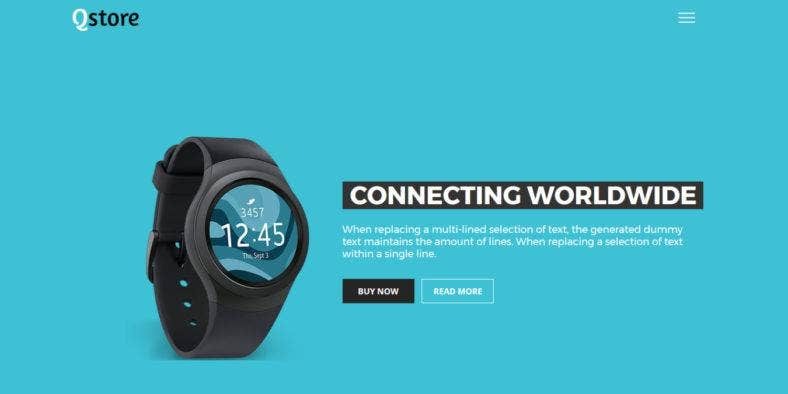 With sophisticated and well-polished elements, the theme boasts of a professional look that can be used to launch cool products and gadgets with a responsive layout, along with a wide range of customization options, lots of available widgets and elements. 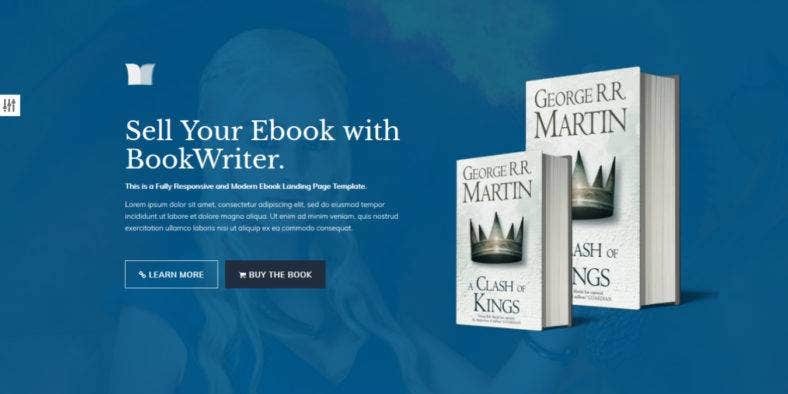 As part of the Intense family, this clean and minimal landing page for book products comes with all the latest wed design features like its fully responsive design that allows your landing page to adapt to any screen sizes of different types of desktop and mobile devices. Other features of this theme include a stunning parallax effect, pixel-perfect Google Fonts and Font icons, a newsletter subscription, crossbrowser compatibility, and valid semantic coding. It can be used to sell books, magazines, and other printed products online. 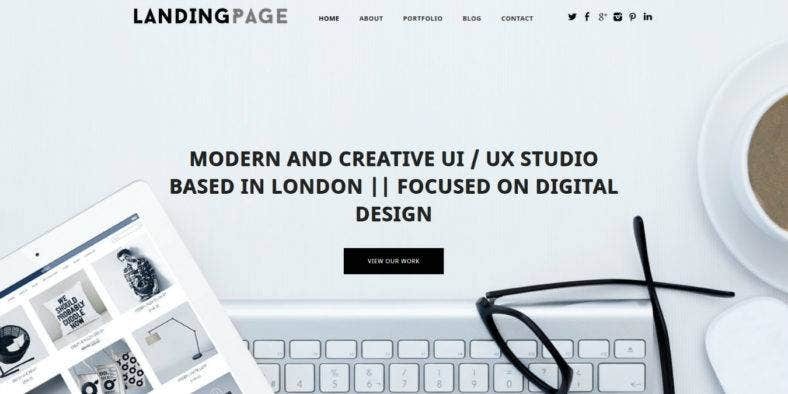 Landing Page, as its name implies, is a landing page theme but not like your regular website landing page template as it is characterized by a clean and minimal layout over a fully responsive design. It features a scroll motion slider to enhance the look of your landing page. It also comes with a fully responsive background that could be integrated with either a custom background image or a custom background color. Together with Theme Options, this template is customizable letting you build a landing page that suits your taste and needs. 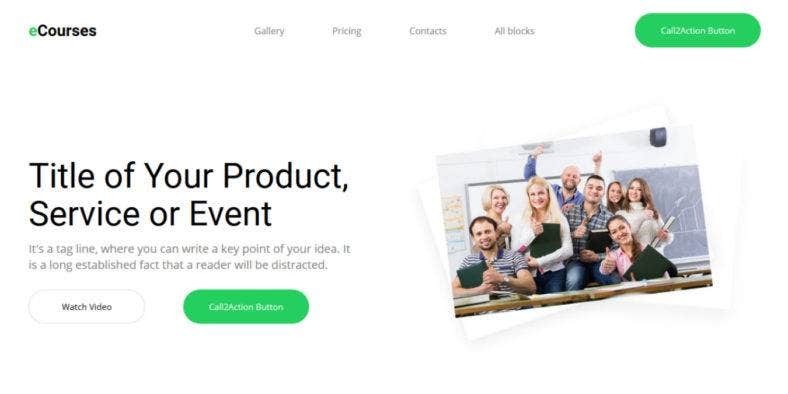 Produk is a bright and beautiful premium landing page theme used to create a stunning product showcase with a built-in responsive design and a clean layout as well as a slew of cool features. 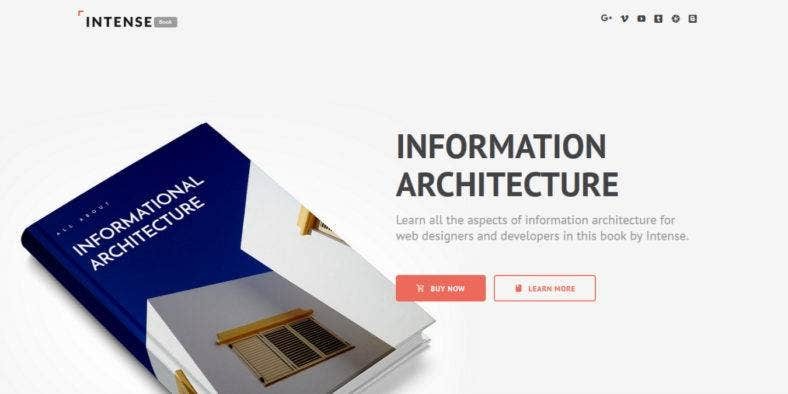 Built on the Bootstrap framework, it uses the 1170 grid system and HTML/CSS code. Other features include 6 color options, 5 custom header layouts, smooth page scrolling, parallax backgrounds, smooth page scrolling, Fancybox images gallery pop-up, pricing table element, Subscribe Form element with Ajax, built-in Ionicons font pack, and more. Above is a MotoCMS 3 landing page theme with a high-quality design that will only cost you a few bucks to build a functional landing page or website. Softmaso is a clean and minimal landing page template ideal for startups, promotions, events, promo, and even personal pages. To build a landing page through this builder is easy, all you have to do is to drag and drop the available content blocks while choosing from various designs. With a theme that fits your taste and needs, your landing page will surely look good and perfect on any device. 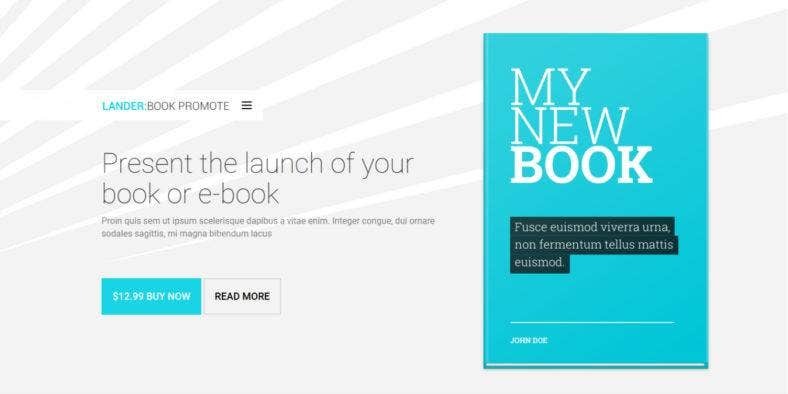 BookWriter is built with Bootstrap 3.2 and is ideal for any book marketing campaign. This minimal ebook landing page theme is very easy to customize with 8 pre-defined color schemes, a dark and light version, and many choices of fonts and icons. This is a one-page landing page theme with a MailChimp integration, working Contact Form, smooth scrolling effect over a clean and minimal design. It is very easy to use as well as customize with a very well-commented and well-organized code. A multipurpose landing page theme, Creativ is a fully responsive template that can be used to advertise and sell applications, softwares, and other digital products. 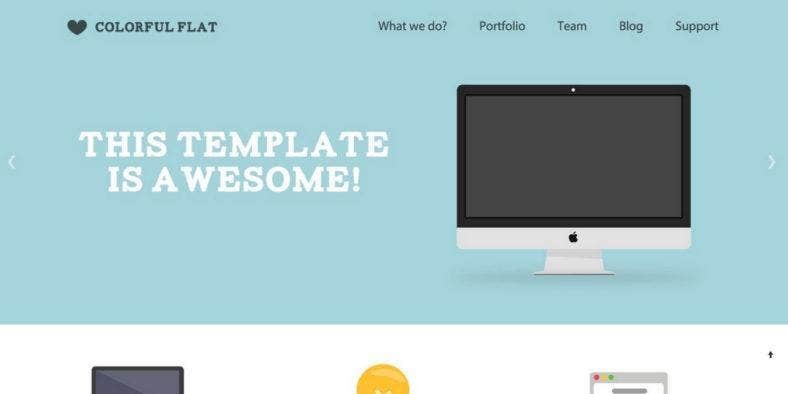 Crafted with the latest Bootstrap framework and the latest HTML5 and CSS3 techniques. It also comes with 4 landing page options, sticky header, pricing tables, Wow animations, and tons of icons over a sleek, clean, and minimal design. With an easy-to-customize design and clean layout, you will be able to build an efficient and effective landing page. 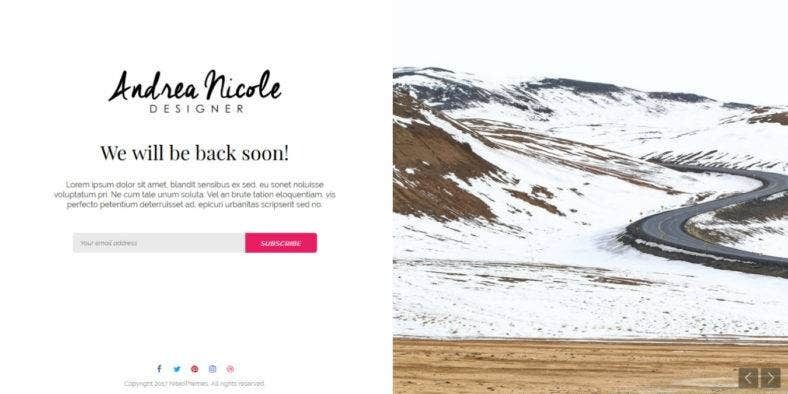 Last but not the least, is this other gorgeous and stunning landing page template that boast of a video backgroundintegration which certainly separates this theme from the rest, in a good way. Coyote is a beautiful responsive landing page and Coming Soon landing page template. 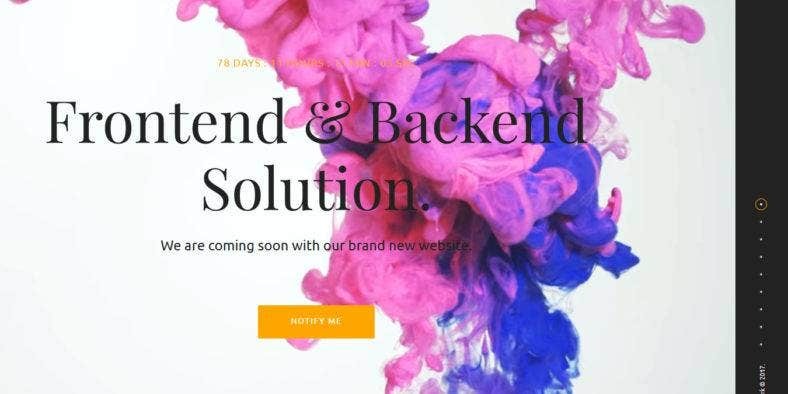 This one-of-its-kind website theme includes features such as 6 beautiful demos with various color skins, effects, videos, sliders, and other useful content which enhances your page’s visual appeal. Powered by Sass and integrated with Ajax Contact Form powered by Angular Js. So, there you have it. We hope that you were able to find the perfect template to launch your products with or showcase your work portfolio to clients. 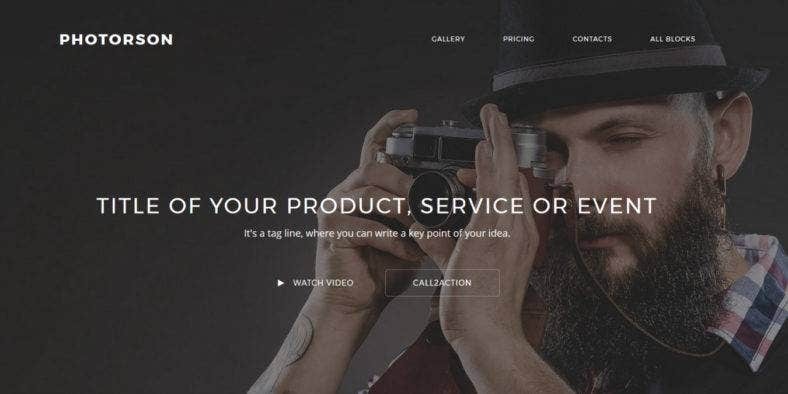 With a great conversion tool integrated into each of these themes and templates, along with modern technologies and the latest web design practices, you will be able to surprise your audience with an effective marketing theme brought by a well-designed and carefully-structured landing page. Make sure not to miss this chance and grab that one template that truly speaks for your brand. 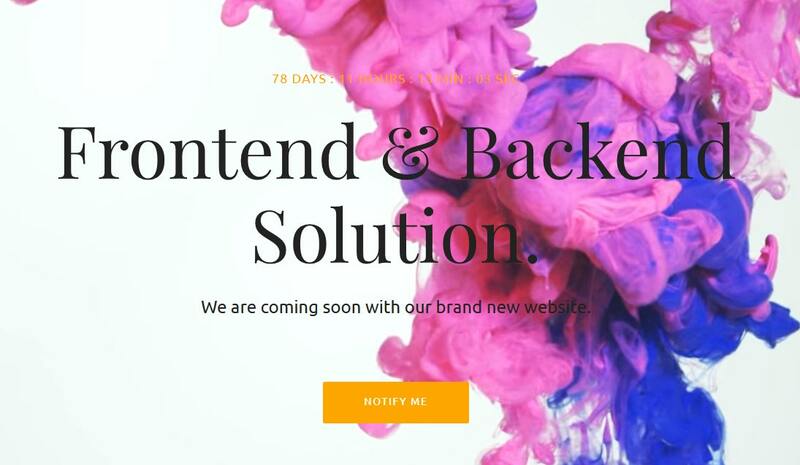 For more ideas and choices, you can also check out our selection of the best Coming Soon page themes and templates, only here at Template.net.